[Satnews] GL Communications Inc. announces their enhanced OC3/12 and STM1/4 Analysis and Emulation Platform referred to as LightSpeed1000™. LightSpeed100™ supports both Channelized and Unchannelized modes. 2 out of the 4 ports are meant for SONET/SDH Unchannelized and unframed data. The remaining 2 ports can be either SONET/SDH or GigE (future) ports meant for Channelized T1 E1. The enhanced GL’s LightSpeed1000™ platform in Channelized Mode provides simplicity and permits direct DS0 level access to hundreds of T1s and E1s within OC-3 STM-1/OC-12 STM-4, and in the near future all the E3s and T3s constituting the OC-3 and STM-1. This platform with its unique architecture eliminates the requirement for external multiplexing hardware and hundreds of cables and connectors. Multiple, interdependent streams of any user-defined capacity can be generated internally, analyzed, and monitored in real-time. 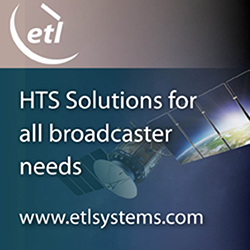 Allows direct access to anything and everything on SONET / SDH - Framing and Payload, including structured traffic (DS0, T1, E1, STS-1, DS3 etc) or unstructured traffic (ATM, PoS, etc).